There is only one genuine way to get organized and that is to decide what to keep and what to throw out. That applies to your junk drawer in the kitchen and to everything in your garage. It works for your closet and your basement. The most challenging aspect of this process is actually deciding what to let go of. Once you’ve made that decision you’ll want to bring in the junk hauling pros from Junk King Denver. They’ll make sure all your unwanted stuff is gone in a matter of minutes. When deciding what to throw out it might help to apply the rule of thumb used by most professional organizers. If you haven’t used something in over a year, then chances are you not going to use it again. That is something you can definitely get rid of. Think about applying that rule to clearing out your closet. How many articles of clothing do you have in there that you haven’t worn in over a year or longer? Do you really see yourself wearing those things again? Why hold onto them? You might also have an old PC or monitor tucked in the closet that is long since been replaced. Do you really need to take up valuable storage space by holding onto something you never going to even plug-in? All of this can be turned over to Junk King Denver. Junk King Denver is can send over two very strong movers to help get this job done. This is the team that can handle just about any type of junk removal. They make short work of taking away sofas, recliners, mattresses, baby cribs and entertainment centers. It doesn’t matter if those things have to be taken apart first. If you want them gone, then just tell the Junk King crew and watch it fly out the door. The cost for this work is surprisingly affordable. It all comes down to how your stuff is going to fit on the back of the Junk King truck. The crews have a lot of experience with packing and they always are determined to get as much in as little space as possible. That will be a big benefit for your final cost. The quickest way for you to get your entire home organized is to turn all your junk over to Junk King Dallas. Make it happen today! This entry was posted in junk removal and tagged get organized, junk, Junk King, junk removal on December 31, 2016 by Paul Durant. Last updated August 15, 2017 . Remodeling projects aren’t limited to new bathrooms or kitchens. You can also add entire rooms to your home in the form of conversion or addition. 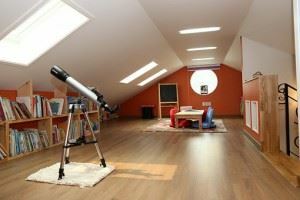 Converting the space like a garage or attic into a new room isn’t complicated at all. You already have the walls and electrical wiring. As for additions, these could be built onto a house if you have the room in your yard. There are also people who have added entire second floors to a home. Obviously, taking on a major construction project is going to be a bit disruptive and costly. You might want to start with something small like hiring Junk King Denver. These are the junk removal pros that can make great headway around your home removing junk and opening up a lot of room. The easiest part about hiring Junk King Denver is the scheduling. That’s accomplished with either a phone call or a few clicks of your computer mouse. Once you set or the day and time that works best for your schedule you need to get to sorting through all your stuff. 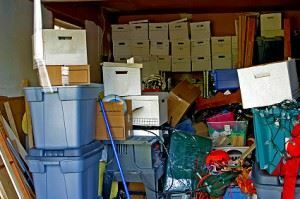 Depending upon how deep you want to go with your junk removal, your sorting task could be under an hour or most of the afternoon. When you consider the trade-off of getting rid of the junk and getting a lot more new storage space, it will be time well spent. It could be that you have entire sections of your home devoted to storage. Having Junk King Denver remove all of that unwanted clutter can allow you to set up a home office, a guest bedroom, playroom, or arts and craft studio. That sounds like a much better use of the space then holding onto things you’re never going to use again! If you were to do all this junk removal on your own it would probably take up most of your day off. It would also require you ready to truck and hiring your own moving crew. That can start to add up. With Junk King Denver on the job, you’ll be charged a reasonable flat rate that covers all those costs. If you want to make more room, then you’ll be pleasantly surprised at how fast and affordable Junk King Denver can make that task happen. This entry was posted in junk removal and tagged Junk King, junk removal, make more room on December 26, 2016 by Paul Durant. Last updated August 15, 2017 .